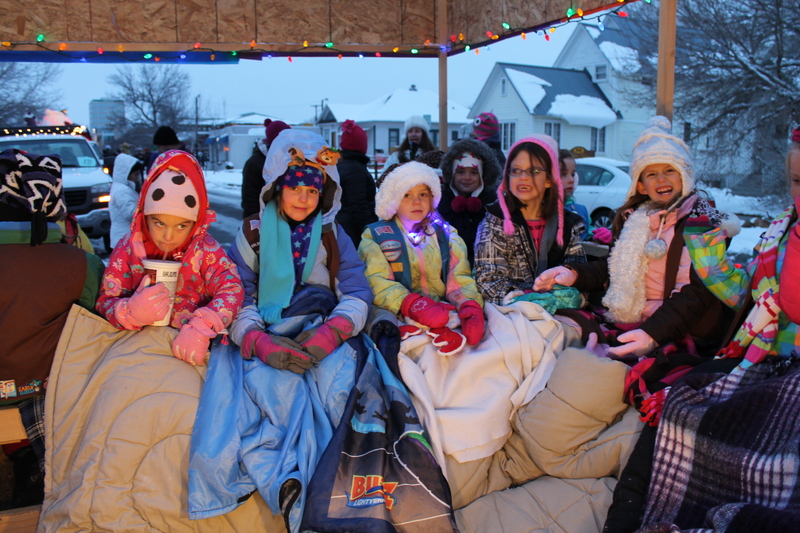 We completely lucked out on the weather this year. 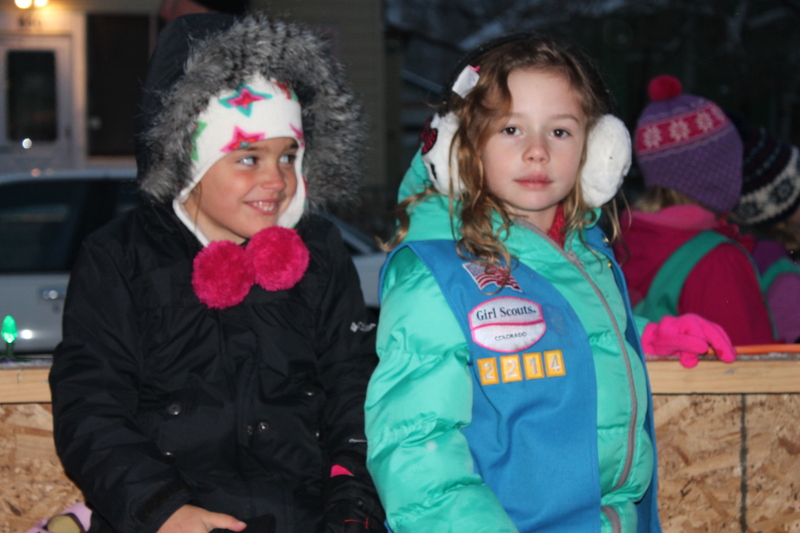 After last year’s sub-zero temperatures, the upper 30s feels like Summer! 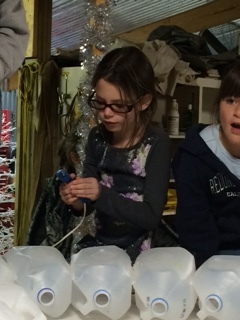 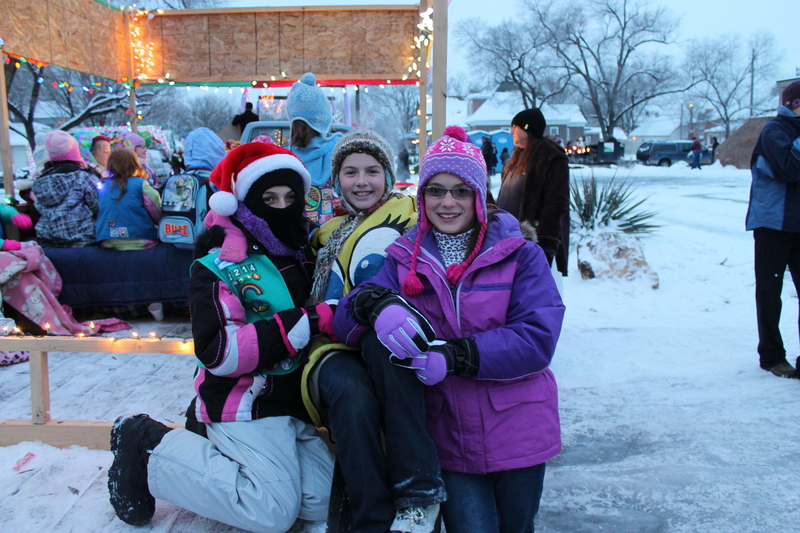 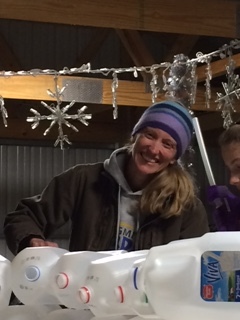 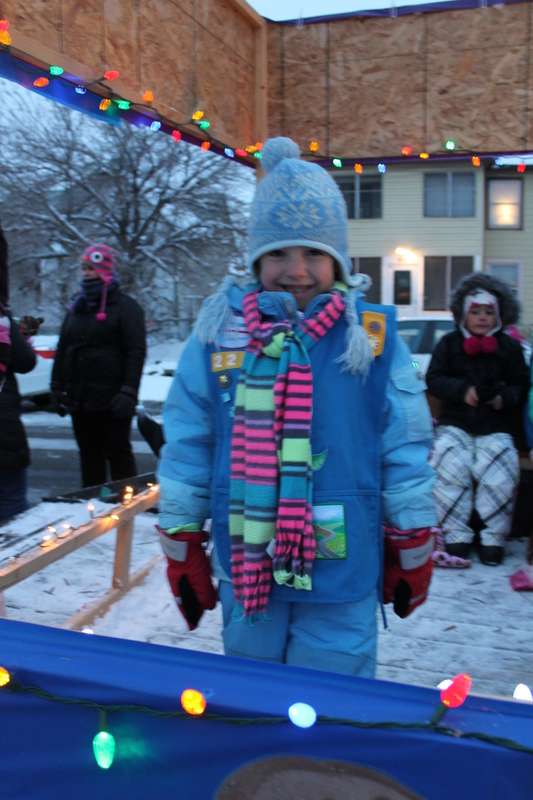 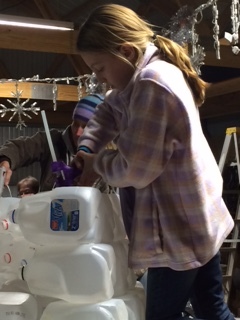 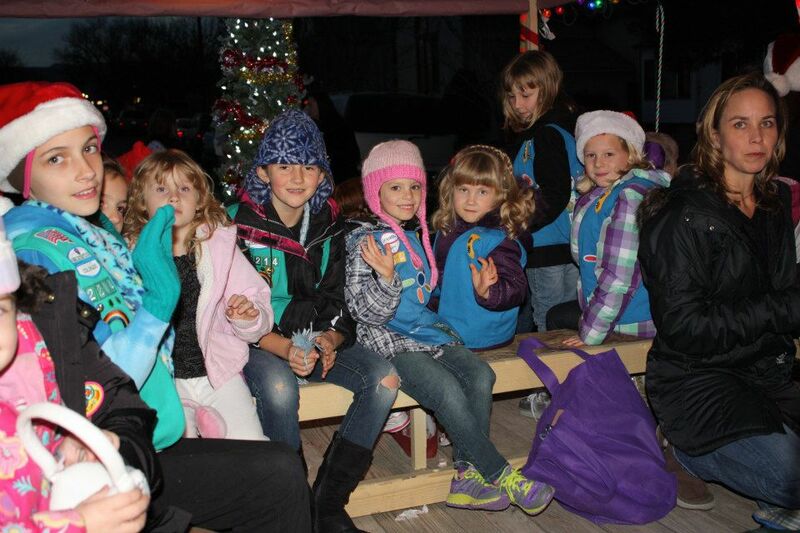 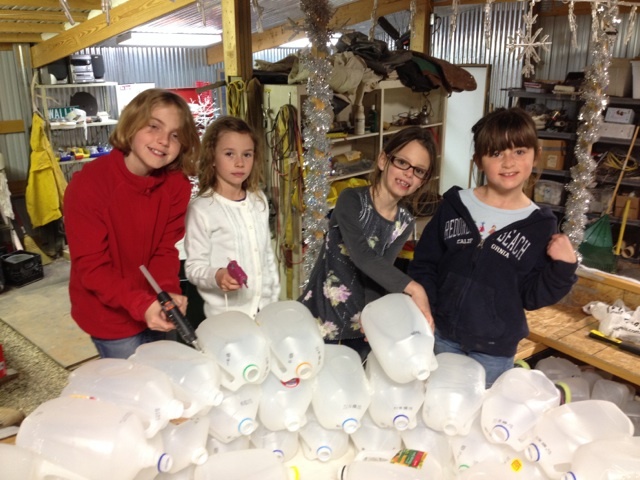 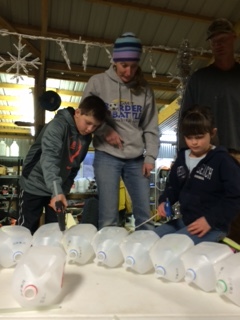 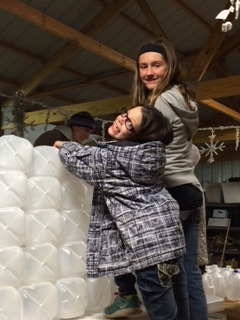 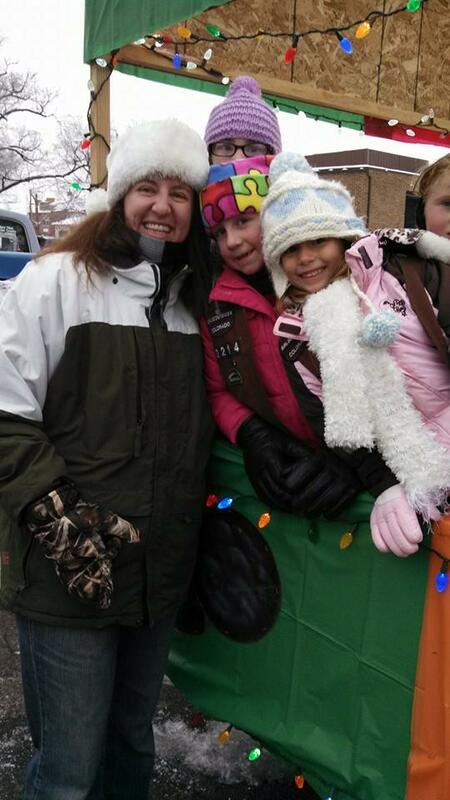 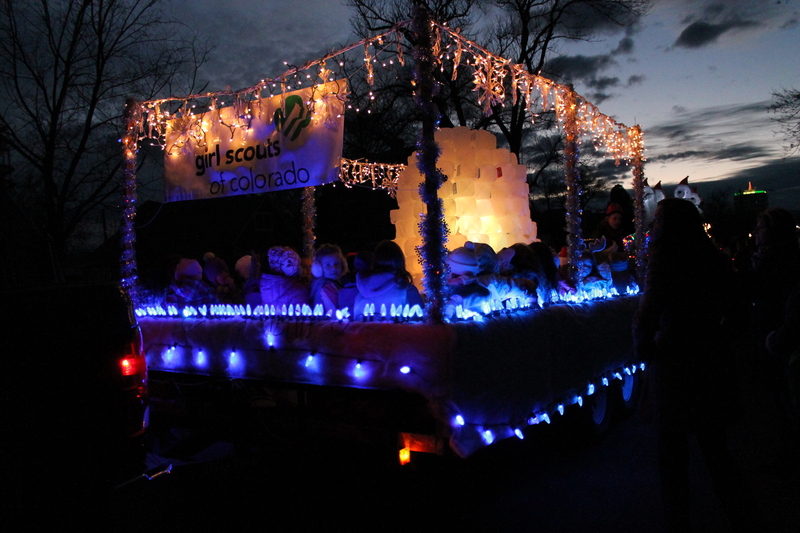 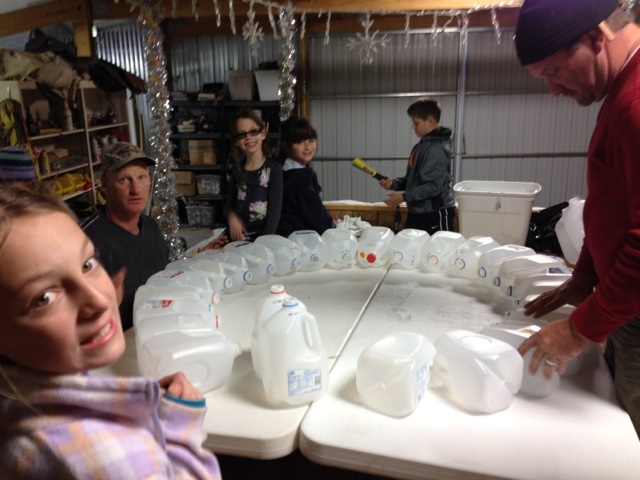 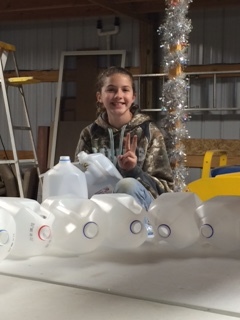 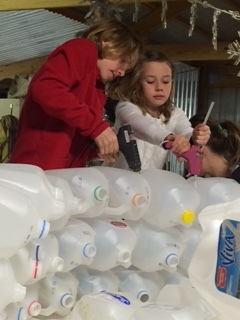 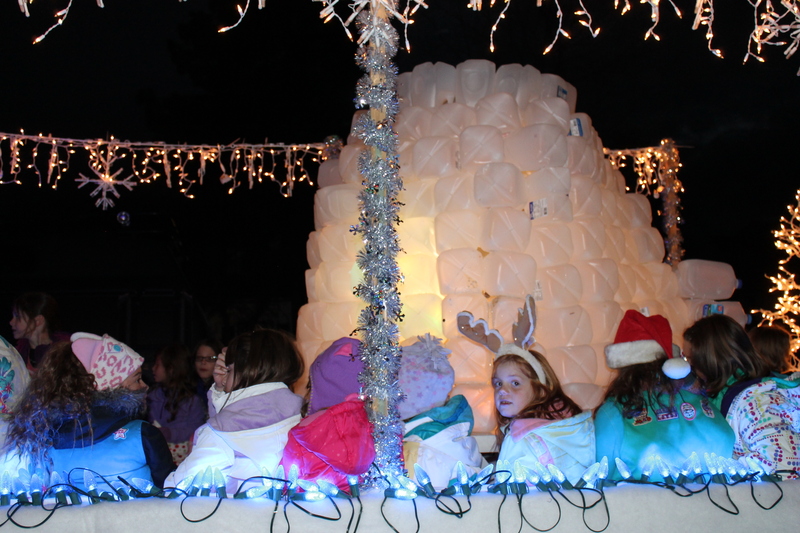 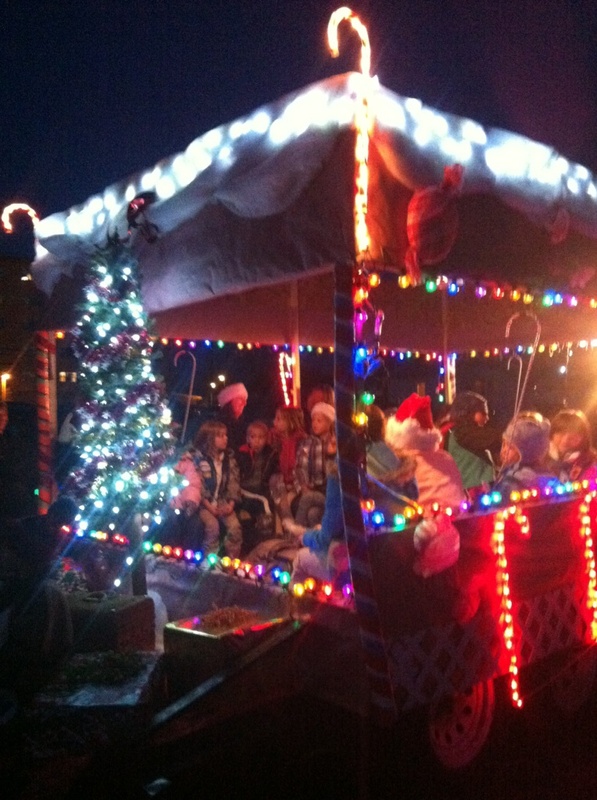 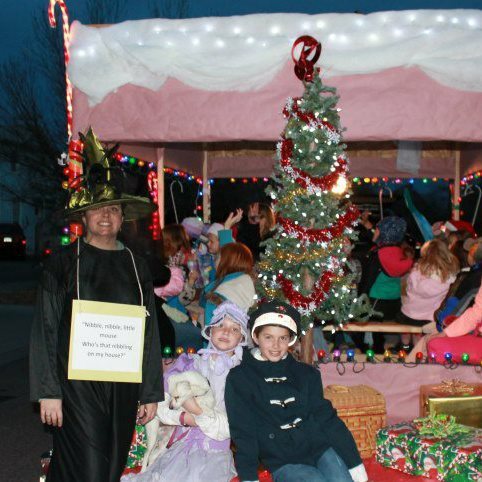 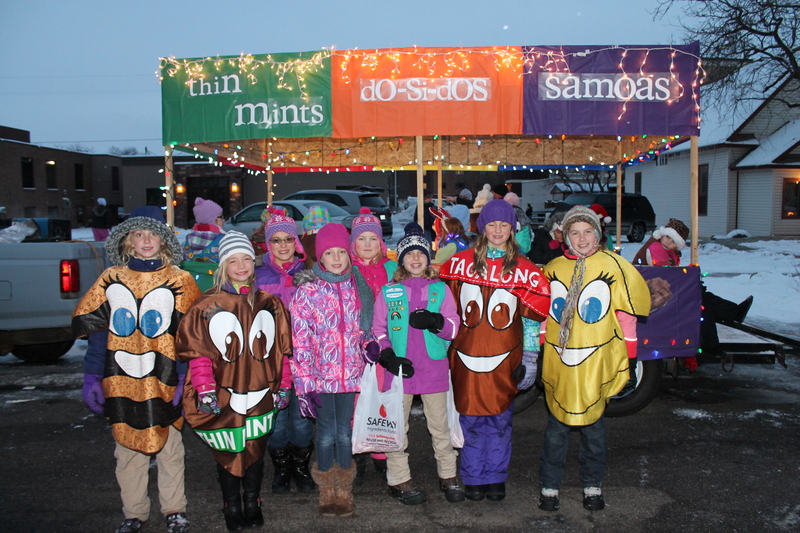 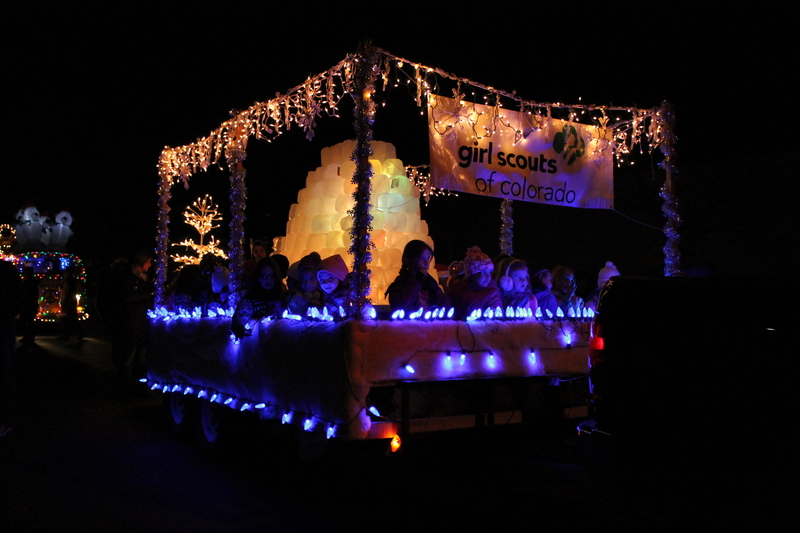 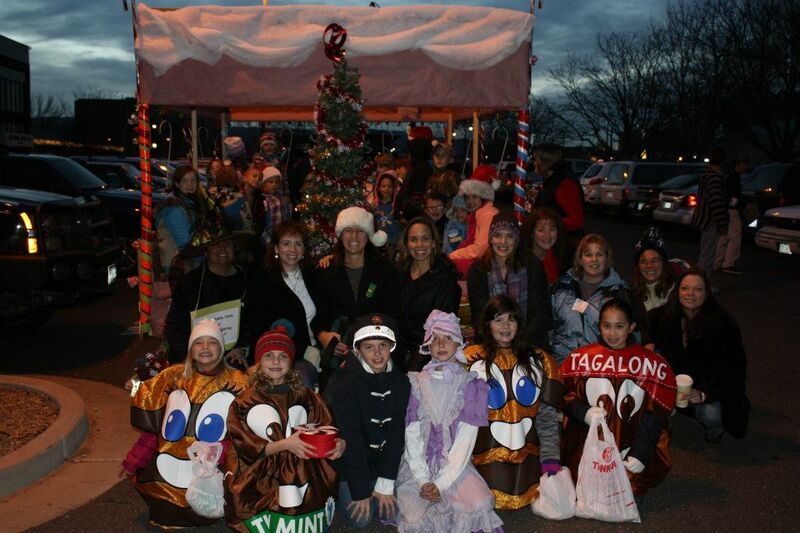 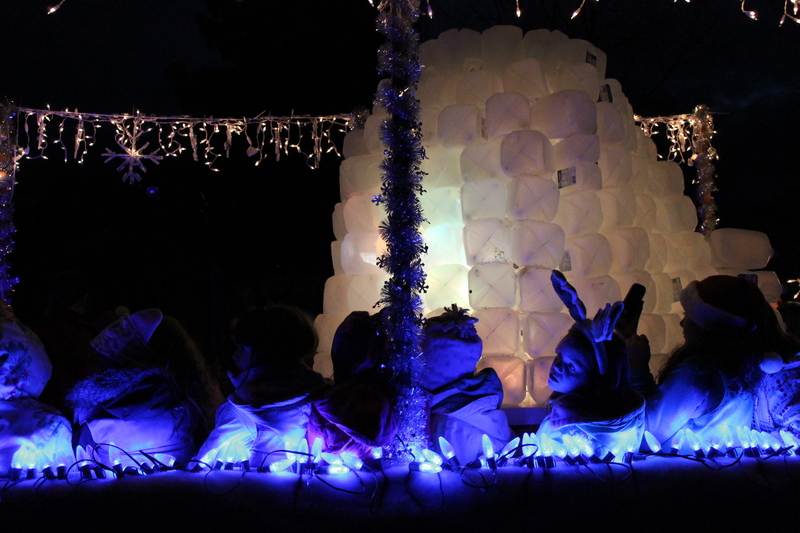 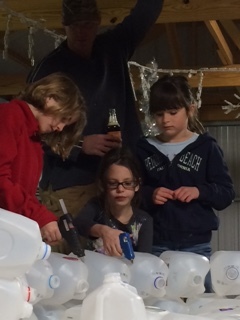 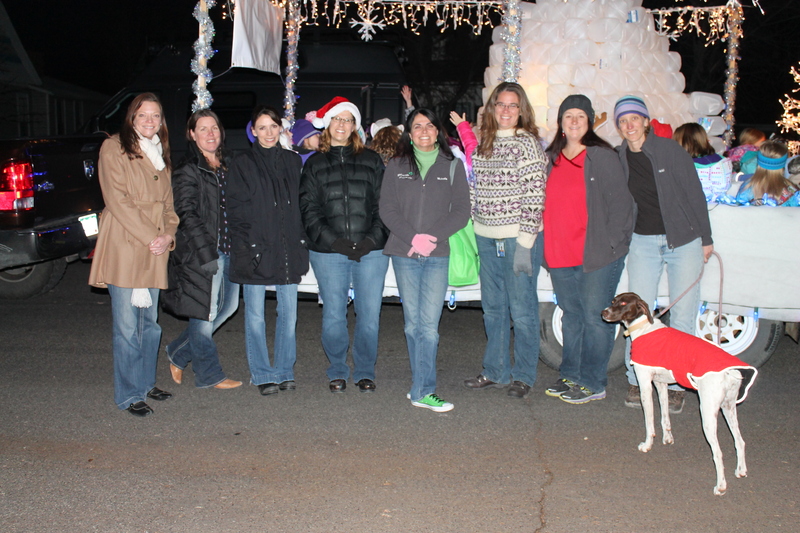 This year’s parade theme was “Let it Snow” and our float centered around an igloo made of recycled gallon milk jugs! 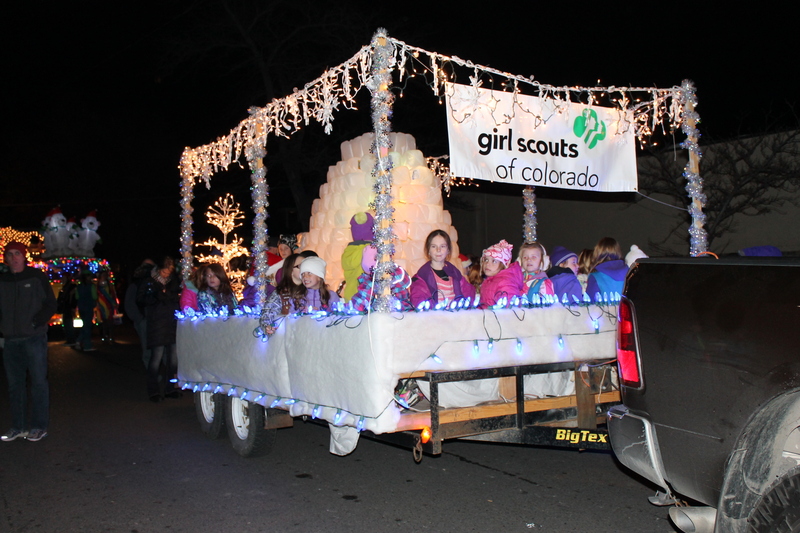 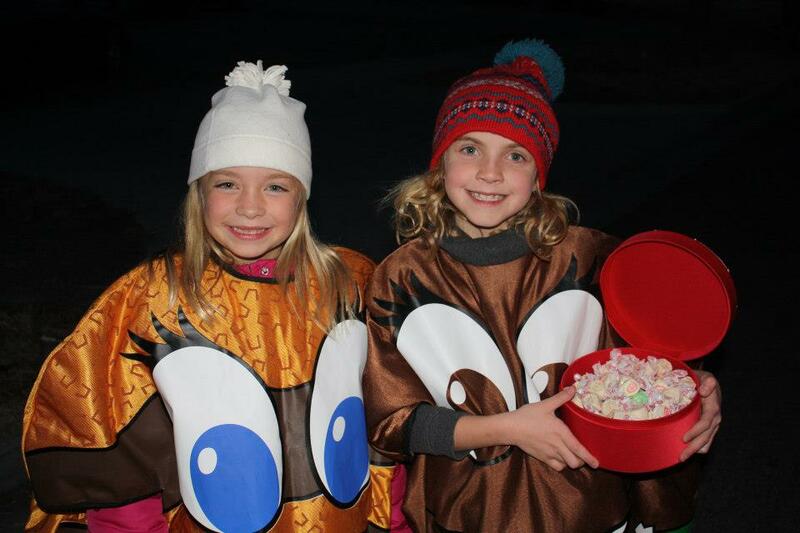 The float carried, in addition to that amazingly fun igloo, 38 girls and our 8 sister Cadettes walked behind handing out candy to the HUNDREDS of little kids on Main Street. 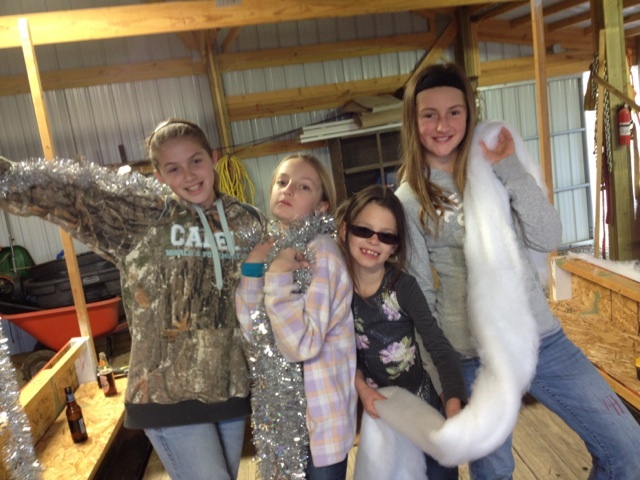 Way to Use Resources Wisely girls!!! 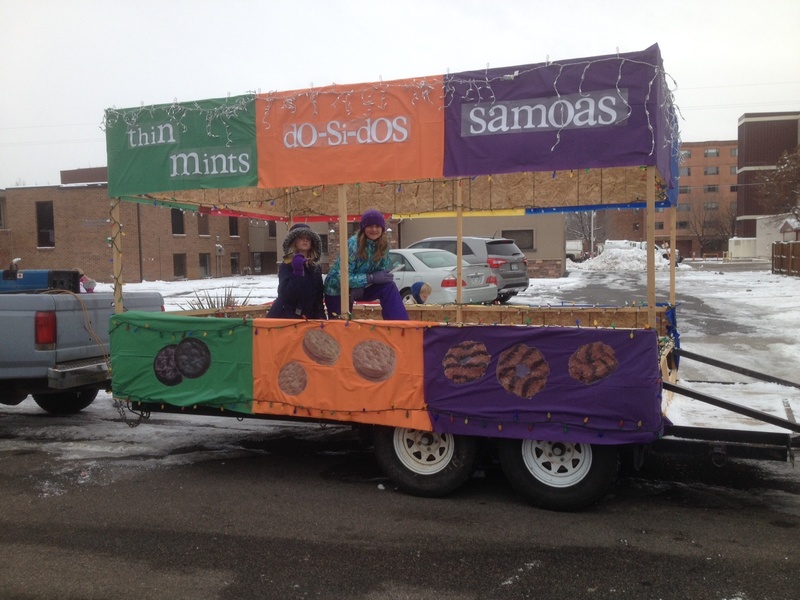 The float turned out really great!! 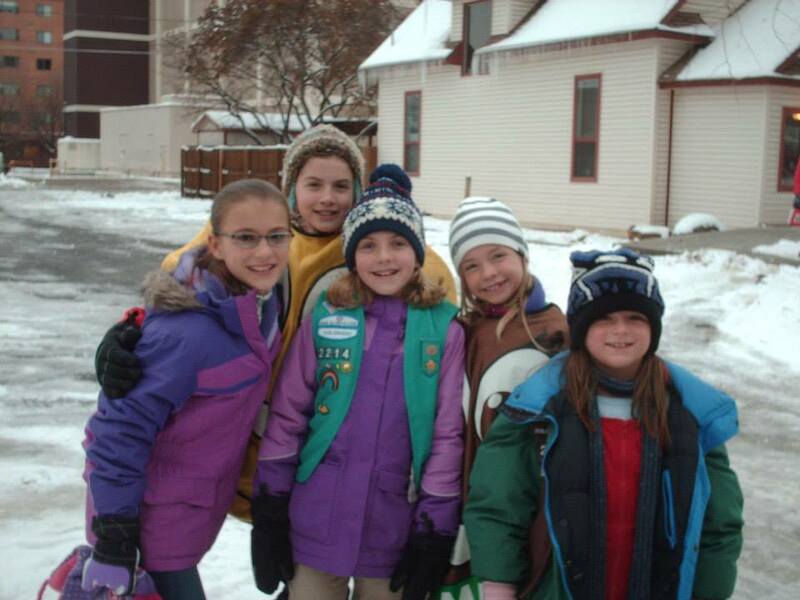 Those are some super cute Girl Scout Leaders!! 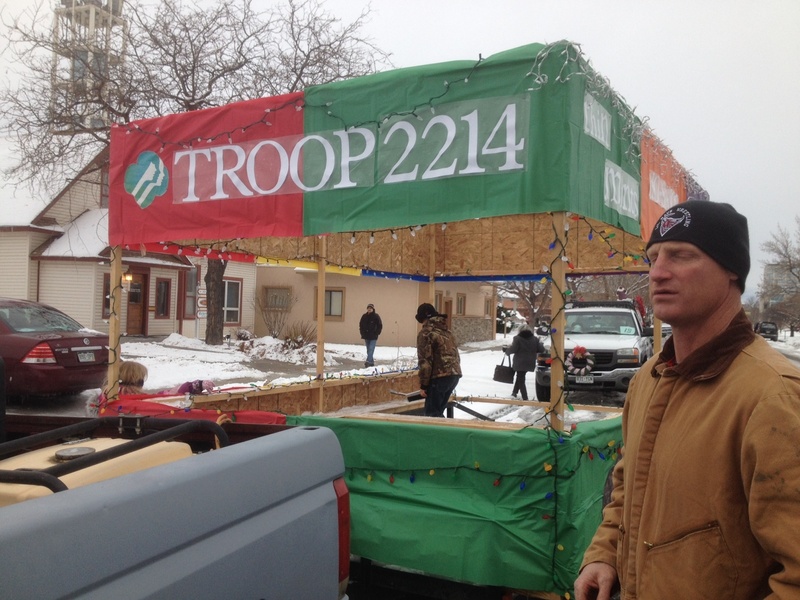 Also a super special thanks to troop dads Dave P., Gerald G., David S. and friend Darin M. without whom this float would never have been as awesome! 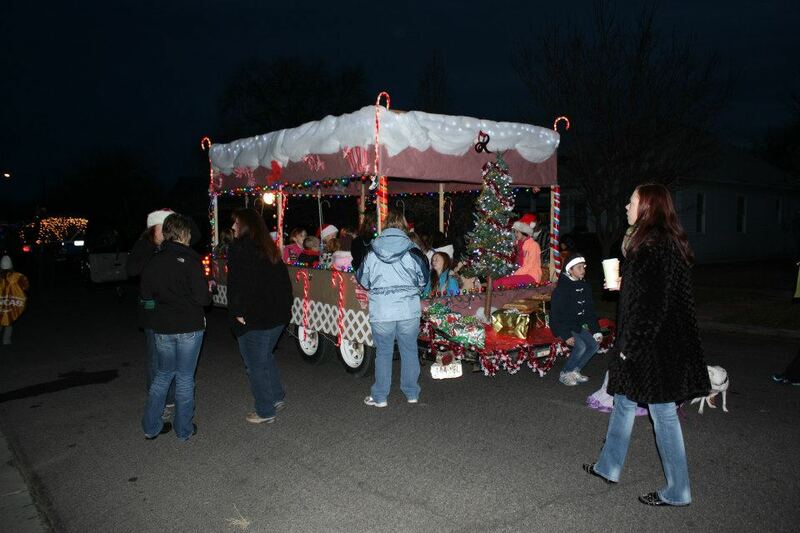 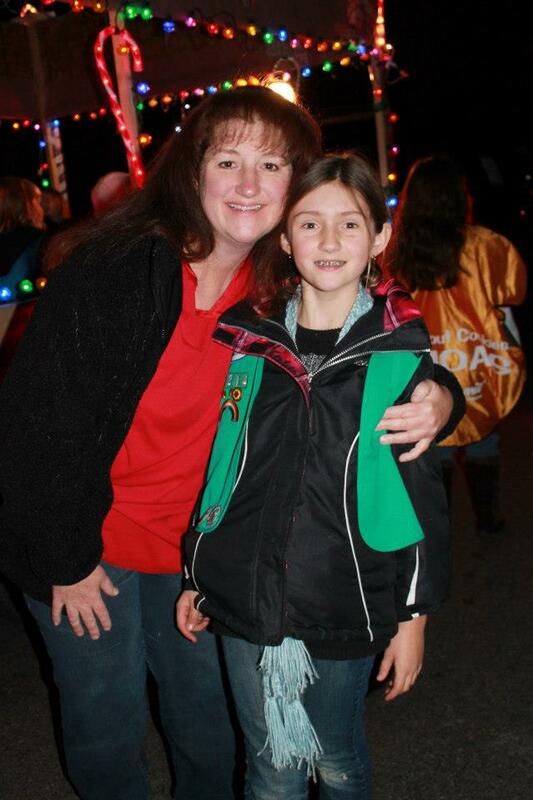 This coming weekend is our town’s local Parade of Lights. 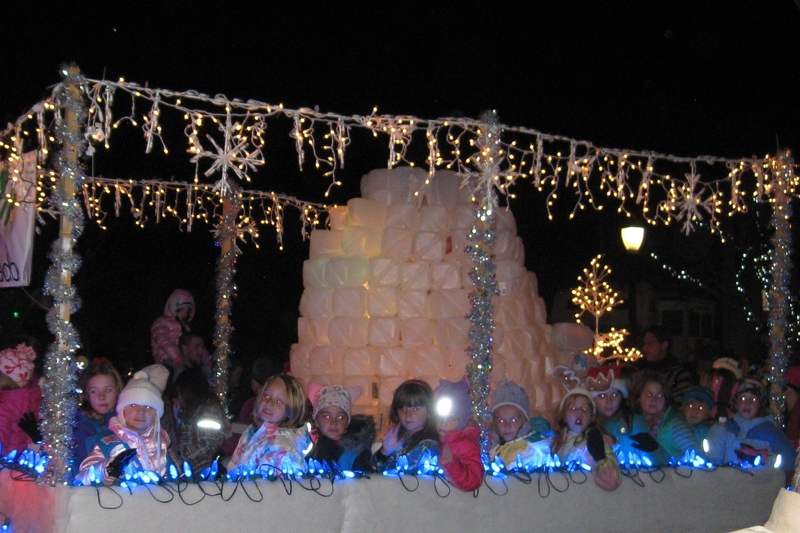 It’s a festive time on Main Street and a great family event. 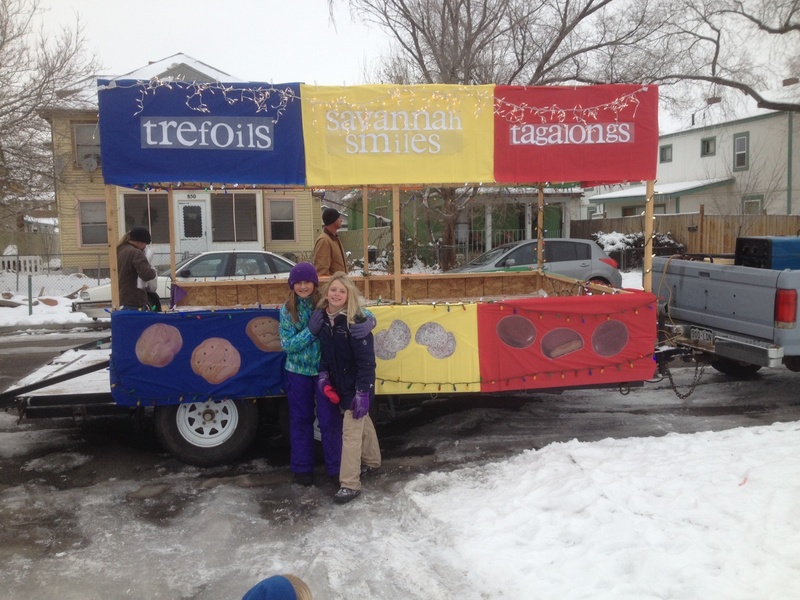 For the last few years we have entered a float. 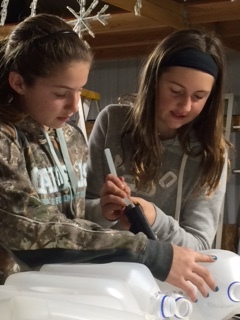 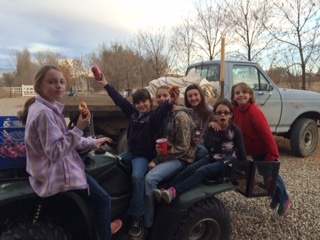 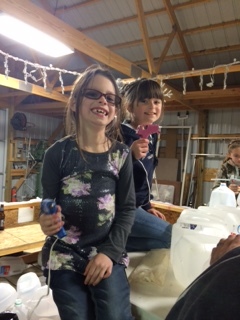 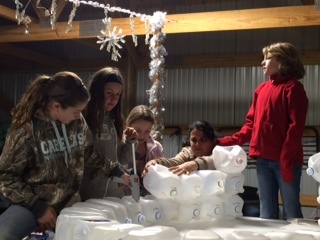 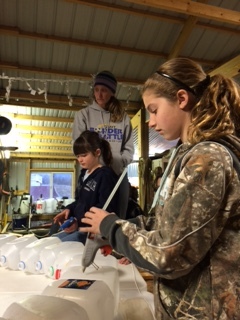 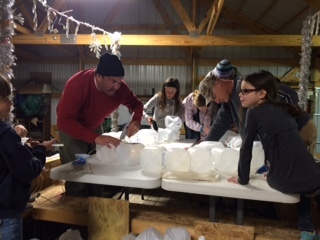 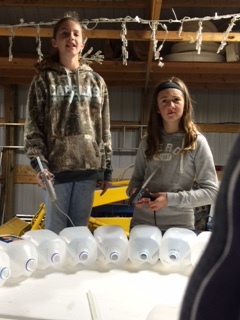 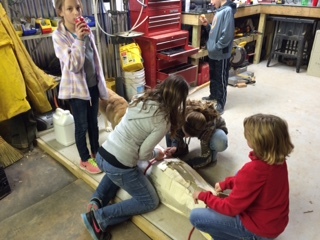 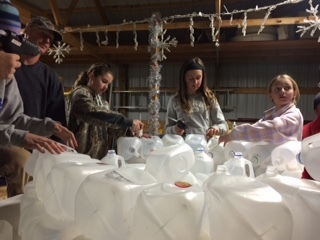 Float building is a group effort, managed by Co-Leader H. Troop leaders, their daughters and some super-hubbies all take part. 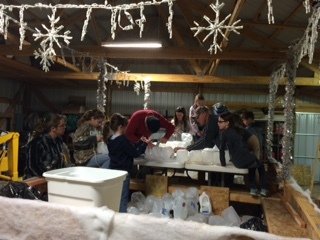 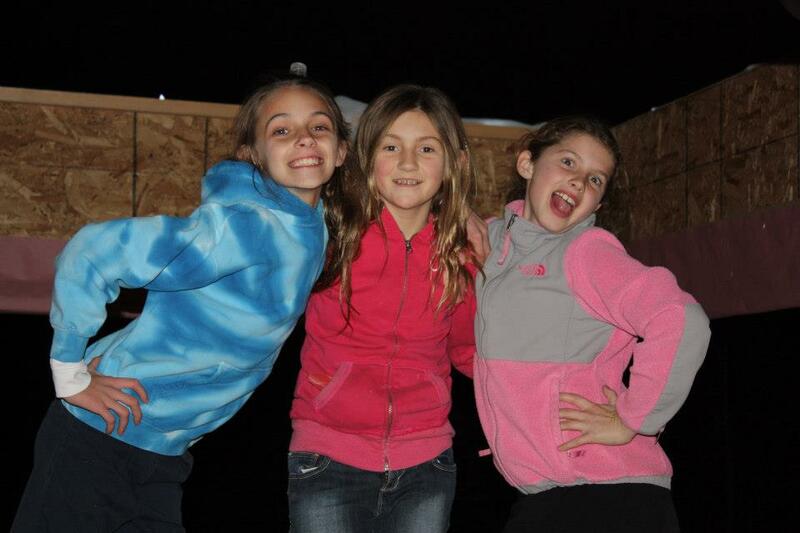 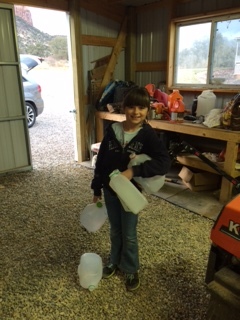 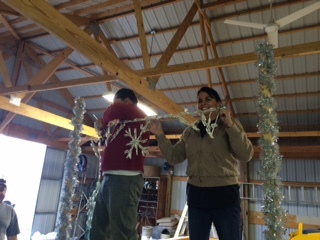 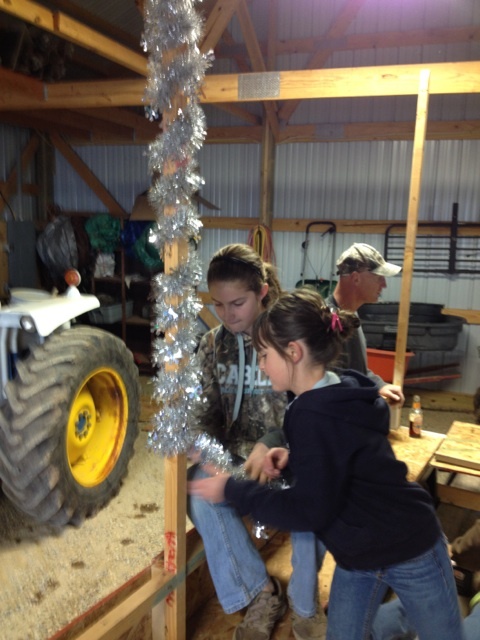 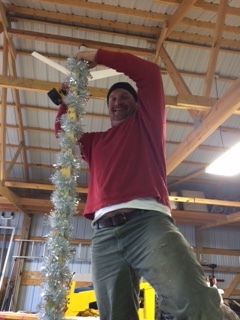 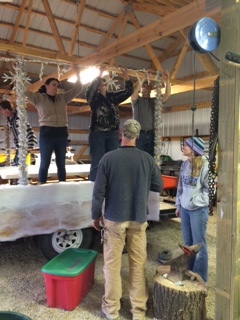 We took the building of the float inside the barn this year, to try to keep warm! 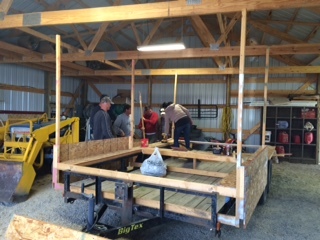 The dads piece together our base. 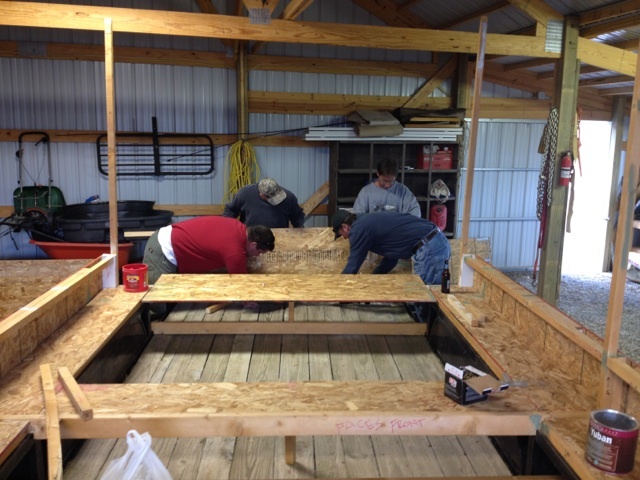 We have used the same basic construction year to year, to save on the cost. 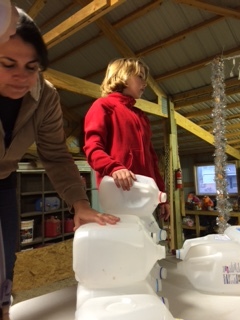 We have tried every which way to label the pieces to make it easier to put back together each time but it is always a gigantic puzzle! 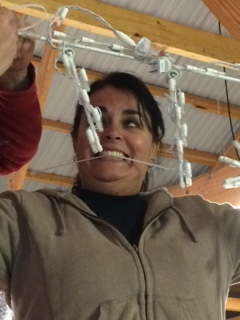 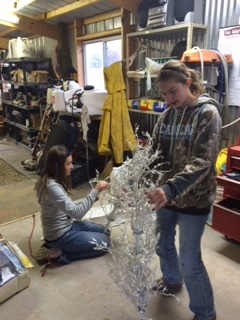 We finally found them a job….unpacking lights. 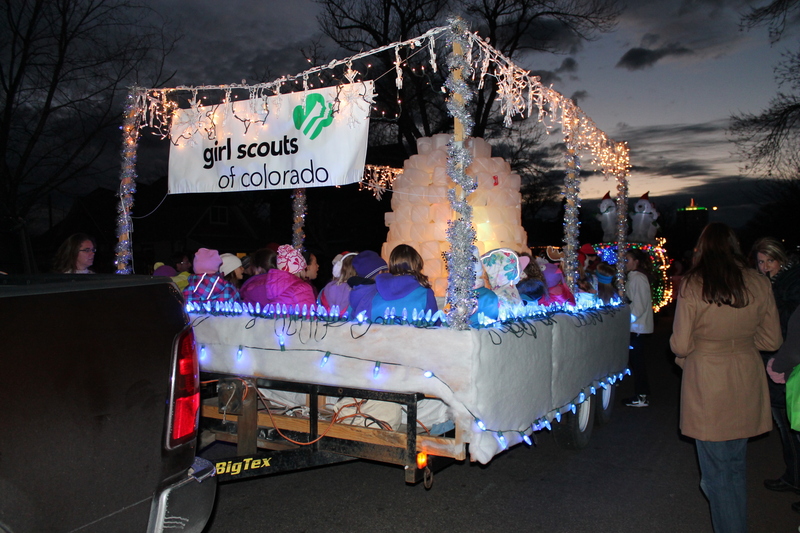 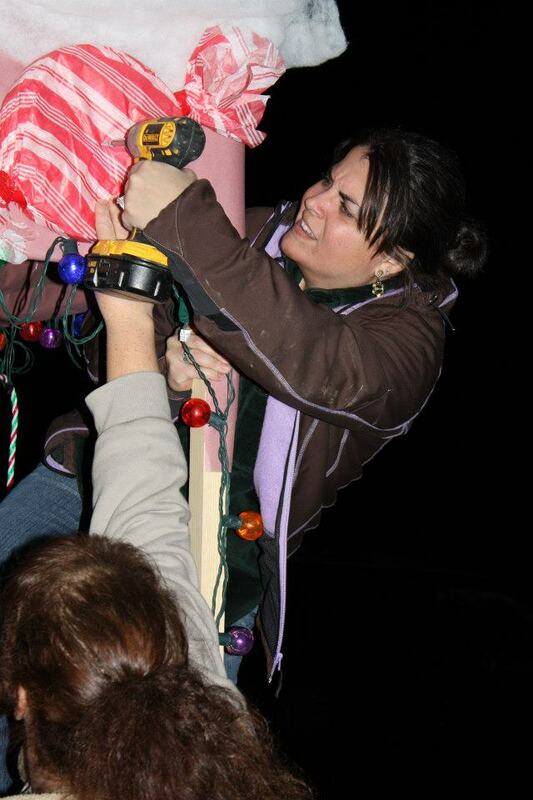 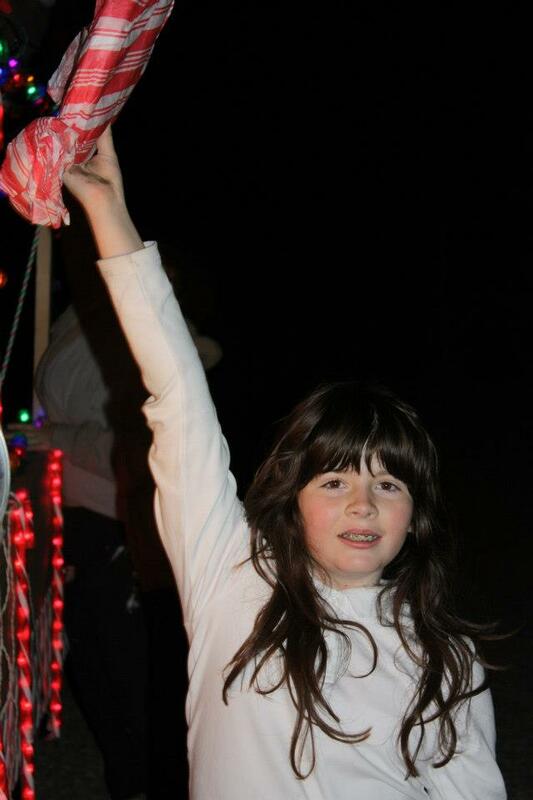 In true Girl Scout fashion, the girls are “Using Resources Wisely” for the building of this float. 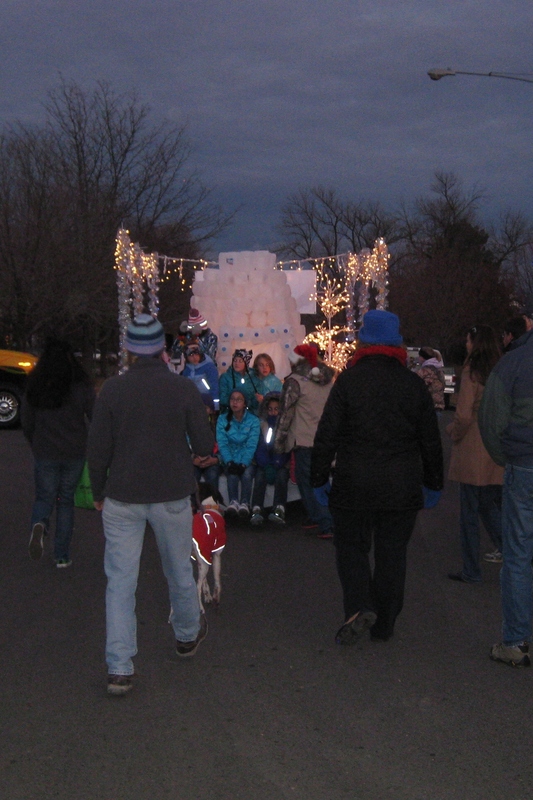 More photos to come from during the actual event! 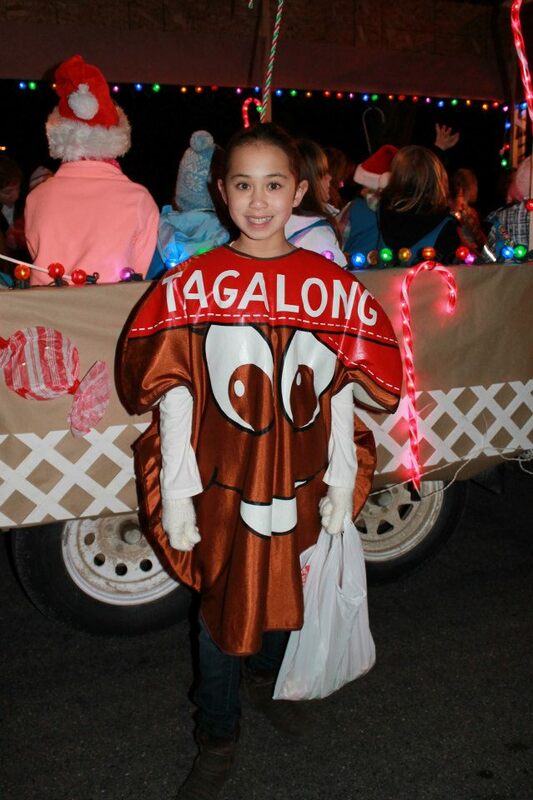 Thanks H….your design is really cute and we can’t wait to see the finished product at the Parade this weekend!